On Friday’s Options Action, the crew analyzed the performance of Netflix stock. Netflix was one of the best-performing stocks over the past decade but has experienced high volatility on pullbacks. Coupled with recent competition and relative underperformance, another selloff is likely. 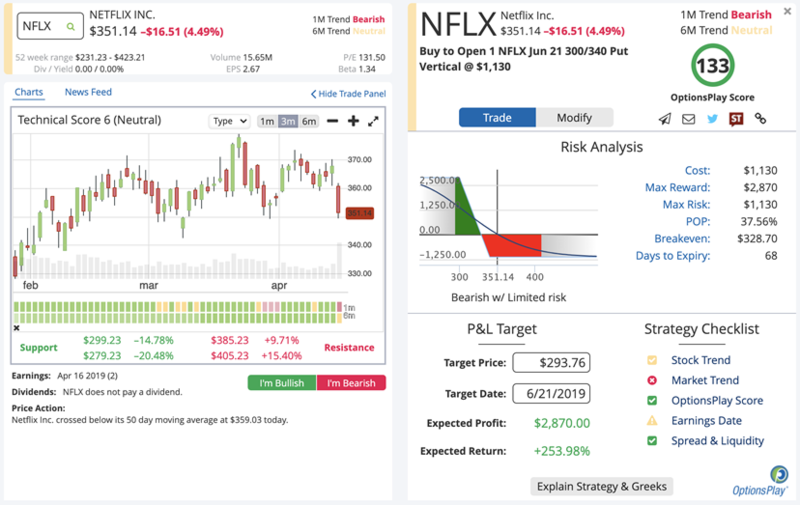 Expecting NFLX to trade lower, Michael Khouw suggests buying a June 340/300 Put Vertical for an $11.50 Debit. As of Friday’s close, these puts were trading at an $11.30 Debit. Track open DailyPlay trades with Live P&L on all positions in our Portfolio tool!